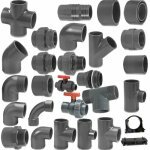 High pressure PVC pipe fittings are very different from PVC waste fittings. The first major variation is that the measurement of the pipe is in metric. So if you measured the outside diameter of our high pressure fittings it will measure the diameter is states on the pipe. 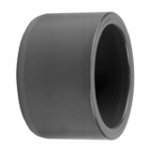 As an example a 40 mm high pressure PVC pipe will measure 40mm in diameter to the outside of the pipe. The PVC Pipes wall thickness will then vary depending on the pressure rating of the pipe. As an example a 10 bar rated PVC pipe will have a thicker wall when compared to a 7.5 bar rated pipe. 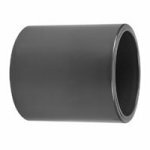 In other words the inside diameter of a 40mm 10 bar rated pipe will be smaller than a 40 mm 7.5 bar rated pipe but the outside diameter will stay the same. Waste pipe is not a high pressure pipe and uses an imperial measurement. As an example a 11/2" waste pipe will measure 37.56 mm on the outside. 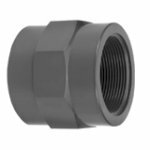 If you wish to use a high pressure pipe with waste fittings then you will need to use an imperial to metric converter and these are listed in each pipe size. 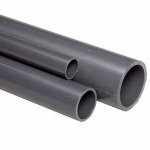 PVC pipe and fittings are ideal for use with pump connexions or building up manifolds for valves. 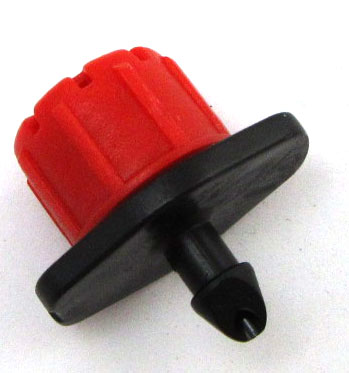 The product is robust and very adaptable and once glued forms a very permanent water distribution platform which is firm and solid.